​ARE YOU EXHIBITING AT AN UPCOMING TRADE SHOW? WE'RE HERE TO HELP YOU MAXIMIZE YOUR ROI. Exhibiting at a trade show can be expensive, so it is imperative to have a marketing plan in place to protect your investment...but where do you start? At AQUA, we pride ourselves on having the solutions you need, at the price you want, to meet your goals. ​​All packages are subject to a combined frequency discount on bundled products. ​Protect your trade show investment with our deluxe Trade Show Promotion package. This package will get you in front of your top customers and prospects through our print, digital and social media channels, helping to get out the word wherever you're being looked for. Our audience of 15,000 audited print subscribers, 600,000+ website visitors and 11,300+ social media connections are the forward-thinking decision makers in the spa and pool industry that you want visiting your booth. Get the word out about your presence at an upcoming trade show and maximize your exposure by getting in front of our highly-engaged audience of 15,000 audited print subscribers, 600,000+ website visitors and 11,300+ social media connection. AQUA boasts an audience of forward-thinking decision makers in the spa and pool industry looking to connect with the leading companies in the industry. 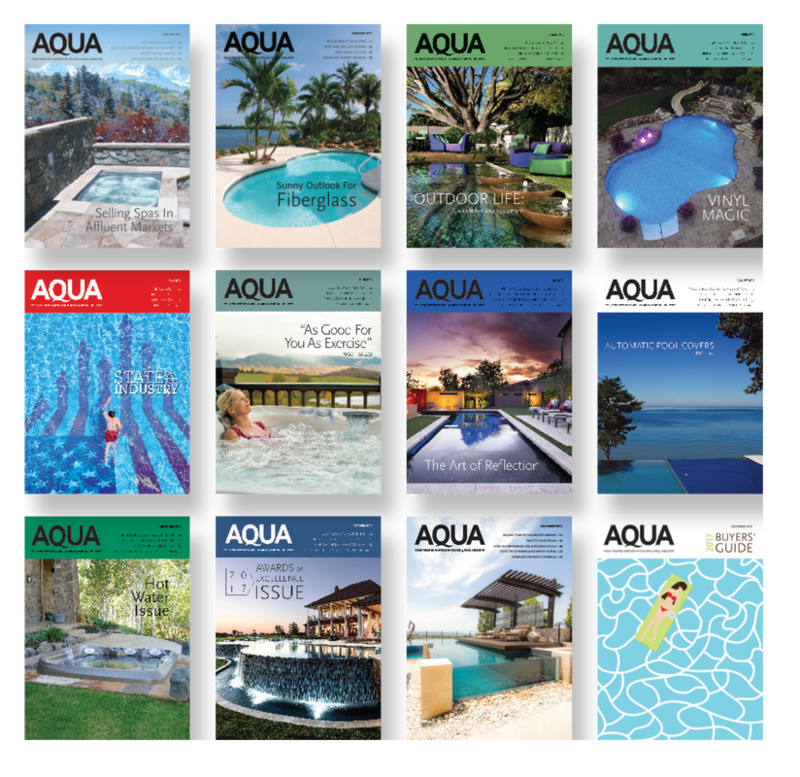 When you're getting ready to exhibit at an industry trade show, you can count on AQUA to maximize your exposure by getting your brand in front of forward-thinking decision makers in the spa and pool industry. ​With our audience of 15,000 audited print subscribers, 600,000+ website visitors and 11,300+ social media connections, we have the audience you want and the engagement you need to generate high-quality leads.